The new Firestone Firehawk rain tire for the Verizon IndyCar Series. Bridgestone Americas, Inc. has launched a new Firestone Firehawk rain tire for the Verizon IndyCar Series, which will make its debut at the Chevrolet Detroit Grand Prix presented by Lear. 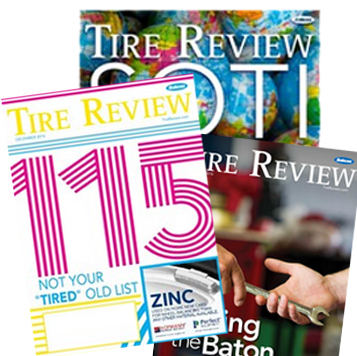 The tire is the first new rain tire design in three years and features an all-new tread pattern. 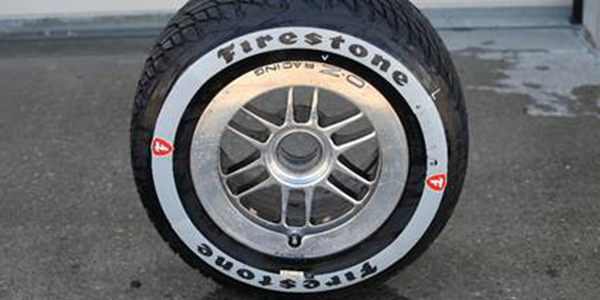 Firestone Racing worked with IndyCar drivers and teams, as well as Bridgestone Americas passenger tire engineers, to design a new motorsports rain tire with enhanced wet performance. The tire features a grooved tread pattern for improved grip and control in wet conditions and is specially designed to reduce hydroplaning. The tools used in the development and testing of the new tire, including predictive modeling, are used for all Firestone tires, including Firehawk passenger tires. To deliver premier high-speed wet performance, the new Firestone Firehawk rain tire features both asymmetric and directional tread patterns that combine to create a unique design for each tire position on the car. These technical designs achieve a balance of water evacuation, accelerating, braking and cornering ability. The new rain tire will continue to feature the gray sidewall, allowing fans, drivers and teams alike to easily identify the rain tire compared to the black-sidewall primary slick race tire. Rain tires are used on road and street courses only, as the Verizon IndyCar Series does not run oval races in wet conditions. Firestone has played a role in open-wheel racing for more than a century as the Official Tire of the Verizon IndyCar Series for 19 seasons.